Join Mystery Readers NorCal for a Panel on Jewish Noir, Thursday, October 29, 7 p.m. Berkeley. Please RSVP (make a comment below with email) for address and to attend. Seating limited. 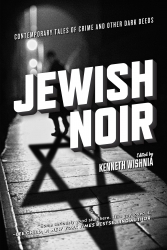 Join us for contemporary tales of crime and other dark deeds with Jewish Noir Editor, Kenneth Wishnia, and co-conspirators Summer Brenner, Michael J. Cooper, Steven Wishnia, Melanie Dante, Wendy Hornsby and Stephen Jay Schwartz. Jewish Noir (PM Press) is a unique collection of new stories by Jewish and non-Jewish literary and genre writers, including numerous award-winning authors such as Marge Piercy, Harlan Ellison, S.J. Rozan, Nancy Richler, Reed Farrel Coleman, Wendy Hornsby, Charles Ardai, and Kenneth Wishnia. 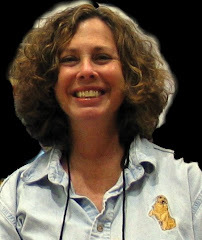 The stories explore such issues as the Holocaust and its long-term effects on subsequent generations, anti-Semitism in the mid- and late-twentieth-century United States, and the dark side of the Diaspora (the decline of revolutionary fervor, the passing of generations, the Golden Ghetto, etc.). The stories in this collection also include many “teachable moments” about the history of prejudice, and the contradictions of ethnic identity and assimilation into American society. I deeply regret having to miss this panel, Janet! The subject, book aside, sounds like the kind of thing we all need to hear, consider honestly and with compassion, while we face a world filled with so much growing hate. But thank you, too, for bringing the book to our attention! I didn't know about it.